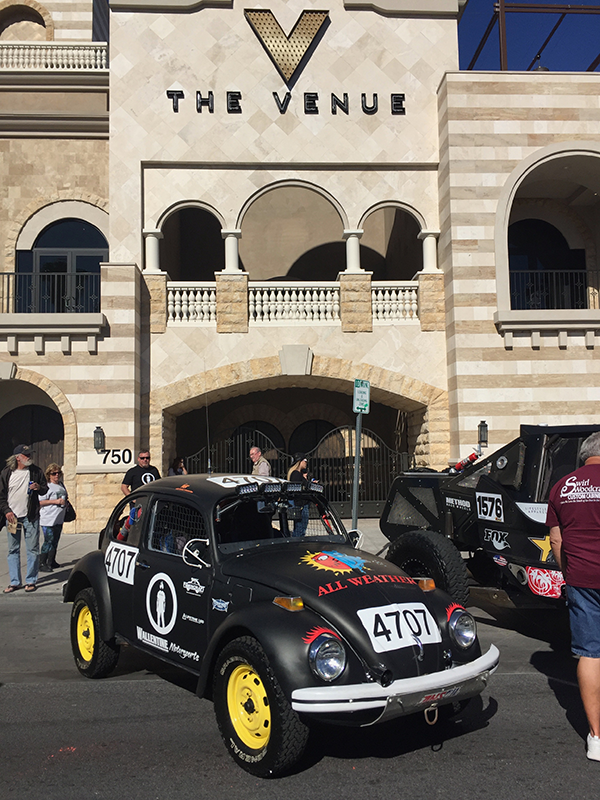 Nine Class 11s went off the start line at this years Mint 400, including the debut of Gil Medranos 11 – previously raced by Brian Wallentine at the Baja 1000. Gil and Michael Godwin went off the line in the Mad Media-sponsored 4707. We hit some trouble shortly after the start line with a flat tire that cost us some time, but we did a driver swap-out after the first lap with Ed Conrad and Mike Brown taking over, but were flagged off the course right afterward because it was unlikely we’d finish the second lap before the unlimited vehicles caught up with us. 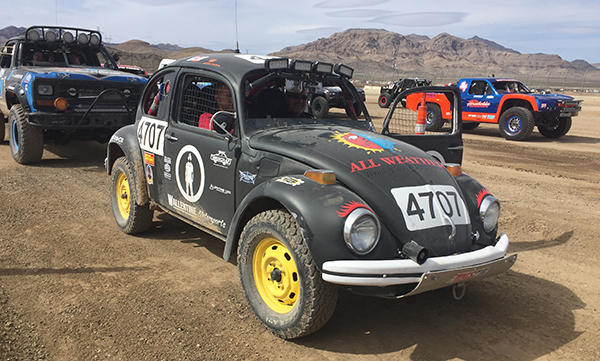 Overall the car ran great and we’re getting ready for the Valley Off Road Racing Association Hawthorne 250 May 27 in Hawthorne, NV. 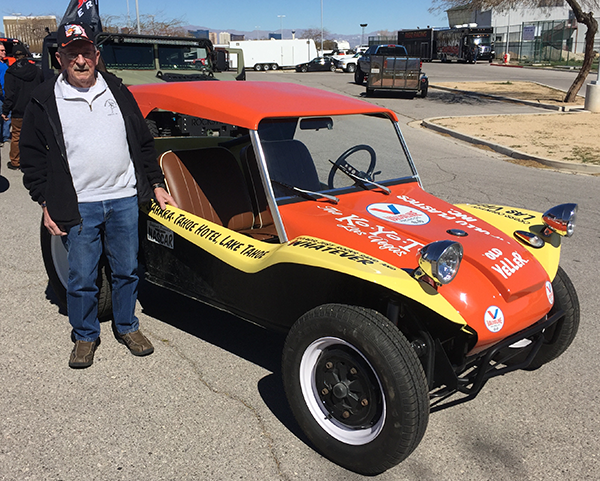 We also got a chance to connect again with LeRoy Wickham, who built a replica of Old Yeller, the car he drove 50 years ago from Vegas to Lake Tahoe which was part of the inspiration for the Mint 400, which started the following year in 1968. 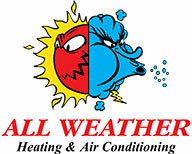 I’d like to thank our incredible sponsors – All Weather Heating and Air Conditioning, Mad Media, Lifetime LED, Bilstein, Fibercraft, Maxtrax and Wallentine Motorsports for their ongoing support of our race program. We could not do this without them. We’ve got a photo album of race week imagery here.